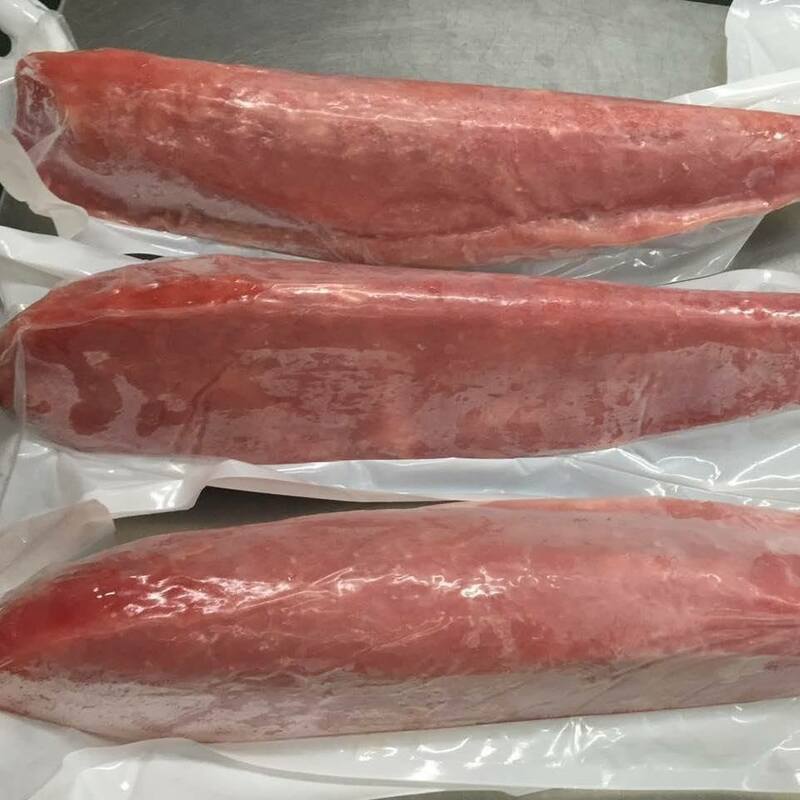 Frozen tuna loin is an excellent choice when you want to taste a delicious meal that have a lot of nutrition and better than canned tuna fish. Despite it having more expensive price than the canned one, tuna loin has extraordinary quality meat compared than tuna in can because the meat itself has been graded before being processed in the factory. We all know that you probably always thinking fresh tuna fish seems become a healthier option than frozen. However, the truth is that both fresh and frozen tuna state can be healthy selections as long as you know how to cook and store them properly. In fact, most of the tuna you meet in the restaurants, hotels, and supermarkets are mostly frozen. The name freshness depending on how long the tuna loin has been frozen because when the loins cannot be sold out, they are mostly being frozen. How quickly and how long the frozen tuna loin product being frozen will also affect the taste and the texture of the loin. 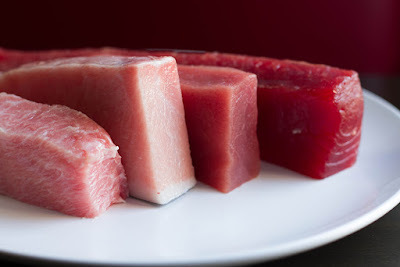 Be careful when you want to purchase frozen tuna loin in the market because they can be already thawed or defrosted. 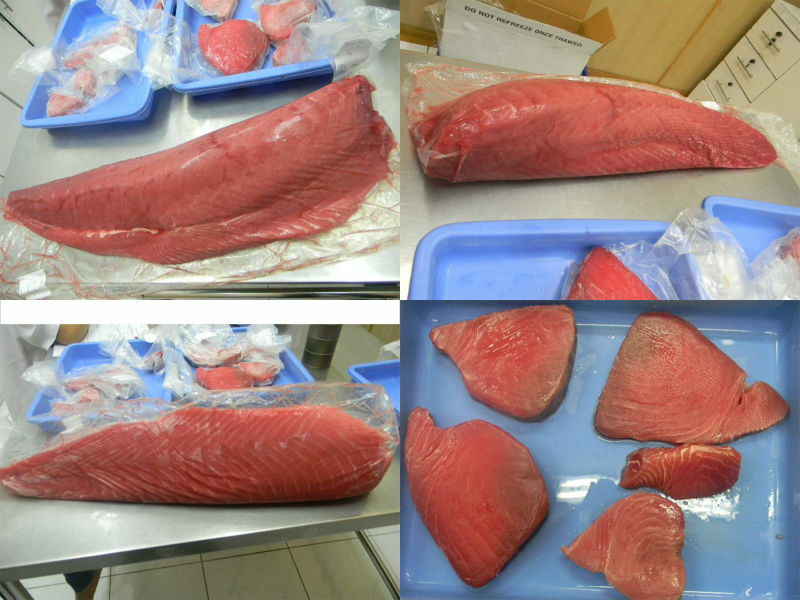 Moreover, how the manufacturer or frozen tuna loin suppliers processed the tuna loin is also will affect the bacterial content. If the tuna loin is not frozen properly, they can catch bacteria and be contaminated. The tuna loin can bring disease and it is bad to be consumed. Always, ask the sellers how the tuna loin is being processed and frozen to ensure that they use proper method that can prevent contamination of the bacteria. 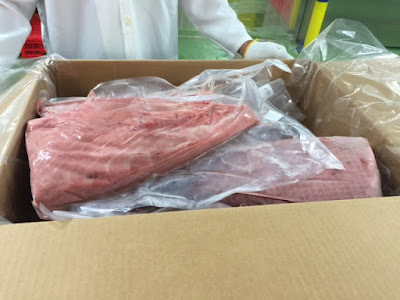 Talking about spoilage, since tuna is just a fish and although they are processed into loins, both fresh and frozen tuna loin can be rotten or spoilage. That’s why it is recommended that you eating the loin within few days or even better eat the meat directly right after you buy it so you can get the freshest tuna loin before they become spoilage. Store the fresh tuna loin no longer than one or two days to avoid spoilage in the refrigerator. As for the frozen tuna, it can be spoiled if it thaws during delivery and thus you need to check for sign of spoilage including bad smell and tears or rips in the packaging. Never freeze the frozen tuna once you already thawed it. If the tuna meats have ammonia like then it is possible they are already spoilage. Moreover, do not buy frozen tuna which kept in the storage with temperature below the minimum chill. Freezing tuna loin will help to prevent bacterial contamination that can make you sick when you eat it. How about the fresh loin? If you keep the fresh tuna loin in the refrigerator, it can also retard the bacterial to grow. Undercooking the tuna loin can be the main reason of bacterial infections sourced from the fish such as salmonella, shigella, staphylococcus, clostridium, and vibrio cholerae. If you plan to cook frozen tuna loin manufacturer product, you should completely thaw it. If the tuna loin half thawed before cooking or just slightly thawed then there are parts that not cook all the way through. Bacterial can also grow during the thawing process especially if you thaw the meat in warm environment like your kitchen. 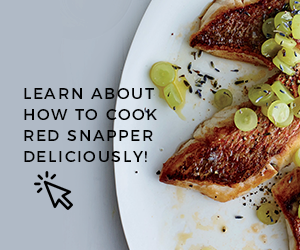 That’s why never thaw the fish in room temperature, you need to thaw it with cold water or in the refrigerator for the simplest way. You need to cook the loin with internal temperature of 145 degrees Fahrenheit. Both fresh and frozen tuna in loin have delicious and good appearance. Of course they do not affect your health unlike the bacterial thing, but they still affect your willingness to eat the meal or not. However, most of people cannot tell the different between frozen and fresh tuna loin once they are cooked. It needs some skill to present the tuna loin into delicious dishes and not to mention the way you thaw the tuna loin will affect the taste and texture as well. If you thaw Indonesia frozen tuna loin in room temperature or warm water, then the appearance will turns unappealing so avoid it. Tuna offers a lot of nutrition particularly omega-3 fatty acid and the protein. That’s why eating tuna fish in either fresh or frozen state, in steak or in loin or even canned one is really recommended. 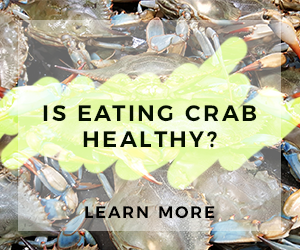 You need to take daily omega-3 fatty acid in the most natural way and eating fish is the easiest method. Although, you need to limited consuming fish due to the mercury level, but you can still enjoying tuna one or two times a week in moderate amount. We already mentioned above that tuna brings enough omega-3 fatty acids which essential for your body. Tuna is a healthy food that good for diet too. Tuna is not only about the fatty acids, but also vitamins, protein, good fats, etc. Soluble vitamins such as vitamin D and vitamin A are not affected by the freezing process so you do not need to be worried if the frozen tuna loin is less healthy than the fresh one. However, when you thaw the tuna loin, you may lose some of the water content in the meat and the water can contain some parts of the minerals and vitamins. There are several types of fresh and frozen tuna loin and both of them is more expensive than canned tuna. Although, fresh tuna loin sometime has higher prices than frozen tuna loin, but it is difficult to get your hands on the fresh tuna, thanks to the limited availability. This is why sometime people prefer to buy canned tuna instead of tuna loin because canned tuna is available in great amount unlike tuna loin. But, once you can get tuna loin, you will not regret it since they have higher qualities than canned tuna. Hope all those points help you understand more about fresh and frozen tuna loin and why you should never underestimate tuna which has been frozen.